Good morning! 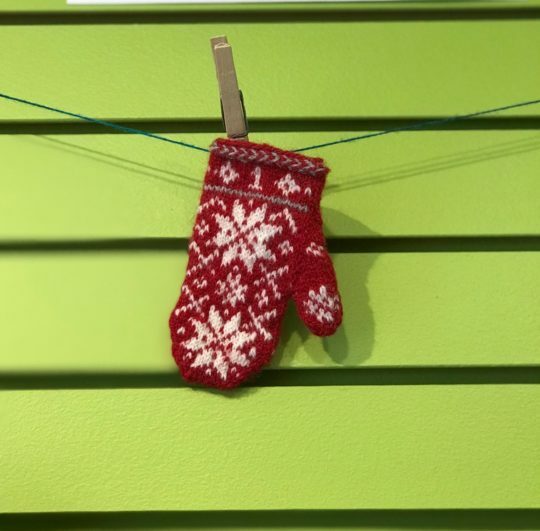 Since we are happily knitting away at Marilynn’s “Mitt-a-Long” and since we’re doing lots of colourwork, we thought you might find this blog post from Kate Davies worth a read. She spends an afternoon with Hazel Tindall, a Shetland legend (and incredibly fast knitter!) Something that we found interesting is that Hazel finishes her fair isle knitting with knots. Hazel’s not alone either! Here are some examples posted by Mary Jane Mucklestone showing knotted fair isle too. There is also a super cool video of Hazel knitting fair isle at a breathtaking speed! Check out Kate’s post here! If you’d like to learn more about Hazel Tindall, her website is here.